A bit late to comment on this, but HTC have just continued the HTC Desire series by announcing the HTC Desire 500. 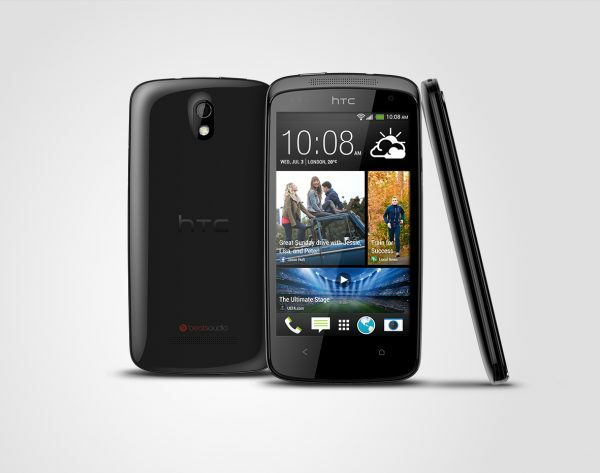 Featuring a 1.2 GHz quad-core processor, this reminds us of the HTC ONE X, though with a bigger bezel surrounding the display. The shape and curves seem to suggest this would be a nice fit in your pocket, though it is obviously thicker than the ONE X. It comes in two colours, Black and Blue, and is designed to offer you affordability and high performance. Talking of the camera, this seems to be the main focus these days. While the camera isn’t what you get on the HTC ONE, it still boasts features such as video highlights, and we won’t be surprised if the UI is highly inspired from the HTC ONE. So, what do we think about this? Well, it is a good effort, but I am wondering if they could have just issued a software upgrade for both HTC ONE X and HTC ONE S, and kept them in the market. Pricing, launch, and other details will be made available soon. Next story Sphero 2.0 … faster and brighter!